Our eggs come from our friends Mollie and Dave. They own Rebel Pioneer Homestead out in the Red Rock area. 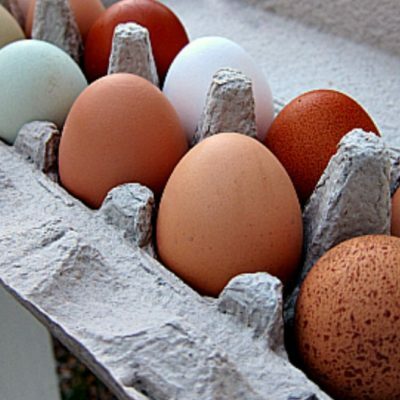 Their chickens are cage free and are also given alfalfa and an organic scratch. They are GMO and Soy FREE. 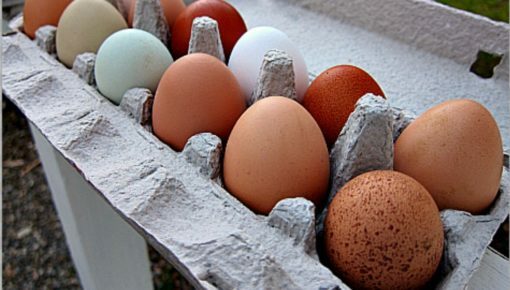 Eggs are organic and cage free, and they are a beautiful variety of colors. They are nutrient dense and you can TASTE the difference. Grocery items (including fruit and veggie baskets) must be ordered by Sunday to ensure delivery on Wednesday. If ordered Sunday, Monday or Tuesday, the items will be delivered in two Wednesdays. Example: If you order on a Sunday, you will receive your items 10 days from order date.